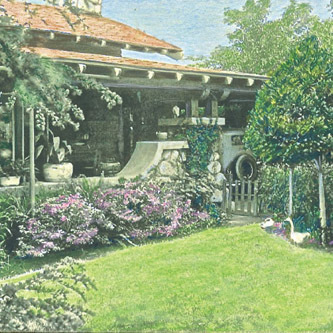 Altadena Heritage was founded in the early 1980s, when many beautiful old homes and mansions were being demolished and replaced with tract developments, placing our community’s architectural heritage in peril. Members at the time did a comprehensive survey of the existing pre-war homes, and conducted research on builders and architects. This information was encoded in a searchable database kept in our office along with a trove of old real estate documents, enabling those who want to research their houses to find this information. Altadena Heritage was founded in the early 1980s, when many beautiful old homes and mansions were being demolished and replaced with tract developments, placing our community’s architectural heritage in peril. Members at the time did a comprehensive survey of the existing pre-war homes, and conducted research on builders and architects. 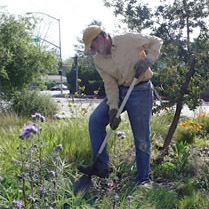 In late March, Altadena Heritage Board members Mark Goldschmidt, David Mosher, Nancy Romero, Michele Zack and John Zoraster removed weeds and an outbreak of prickly Russian thistles, and spread mulch to control weeds and retain moisture. Passers-by may notice a wonderful show of California poppies now in the park, as well as blooming redbud trees. The park anchors and enhances the new adjacent Woodbury Median Project, which uses a similar tree palette of California oaks and redbuds, along with native grasses. 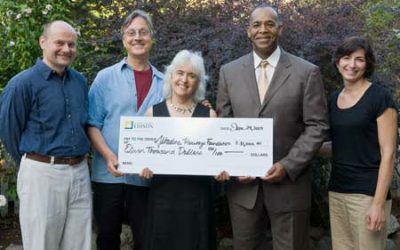 In 2009, Altadena Heritage launched Heritage of Abundance, a series of lectures and workshops that educate its residents on a variety of sustainable living topics. 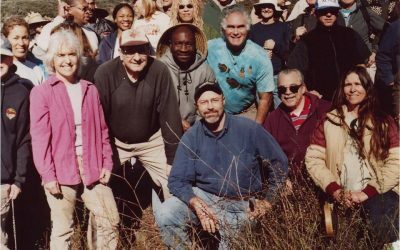 Altadena Heritage invited local experts to lead talks on topics reflecting Altadena Heritage’s core preservation and community education efforts. 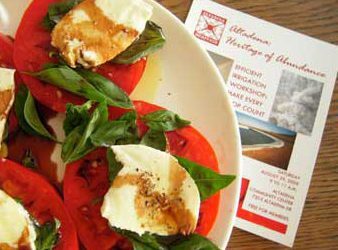 Featured topics have included urban homesteading, growing backyard fruit, the benefits of preserving and restoring historic windows, and more.